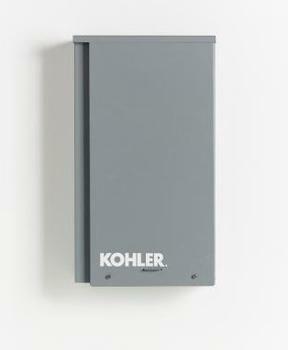 Kohler Power Systems of Kohler, Wis., is recalling about 6,600 Kohler 100-amp service-entrance automatic transfer switches. This recall involves Kohler 100-amp service entrance rated automatic transfer switches used with Kohler brand residential and commercial generators. “Kohler” is printed on the outside panel. Model number RXT-JFNC 100ASE and the serial number are printed on a nameplate located on the inside cover of the unit. The transfer switches, manufactured in the U.S., were sold at authorized Kohler distributors and dealers nationwide from February 2012, through January 2018, for about $530. Consumers may contact Kohler at 800-892-7709 from 7:30 a.m. to 5 p.m. (CT) Monday through Friday, by email at generator.feedback@kohler.com or online at www.kohlergenerators.com and click on “Voluntary Recall” for more information.